By David Ponce on 06/10/15 • Leave a comment! This is a sponsored post written by me on behalf of eBay for IZEA. All opinions are 100% mine. Over the last couple of years, we’ve been bringing your attention to a good number of deals on the gadgets you love. We know the feeling: here’s this awesome item you want to buy, no, you need to buy… but if only it wasn’t that expensive. Well, one of the most obvious places to find items at a discount is eBay; this much we think you already knew. 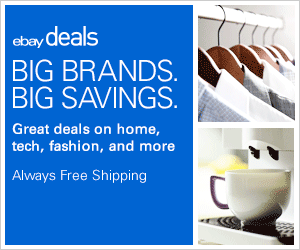 What you might not have known is that eBay has a special section where they highlight some of the best ones they have, and it’s called eBay Deals. That section is relatively general and populated with all kinds of stuff, so if you’re looking for more tech specific deals, you can head on over to eBay Tech Deals. Some examples of what you’ll find there include 25% off on an Apple iPad Air 2 9.7″ with Retina Display, down to $49 from its usual $599! Or the Garmin Nuvi 2595LMT GPS Navigation Assistant for $99, down from its usual $189. The company is making an effort to raise awareness that there’s more going on in their platform than simple auctions. For example, I’ve been given the opportunity to write a Buying Guide. I chose to do it about the Top 4 Gadgets To Help You Train Your Dog. It’s a list of items you might want to consider having if you’ve embarked on the potentially difficult road to having a properly trained puppy. So that’s it, you should take a few minutes and explore the other things eBay has to offer, like great deals and buying guides. It’s all just a few clicks away. If you’re filthy rich and have always wanted to own an amusement park, then here’s your chance to get one for cheap. At only $2.2 million (or 1.62 million euros), Spreepark is a steal. But here’s the catch (there are two, actually): it’s a fixer-upper and it’s located all the way in Berlin. It comes with all the thrills and frills that most amusement parks have: a Ferris wheel, a swamp, a roller coaster, and a bunch of other rides and attractions. However, they’re probably not the safest rides around because they haven’t been operated since the park shut down over a decade ago. 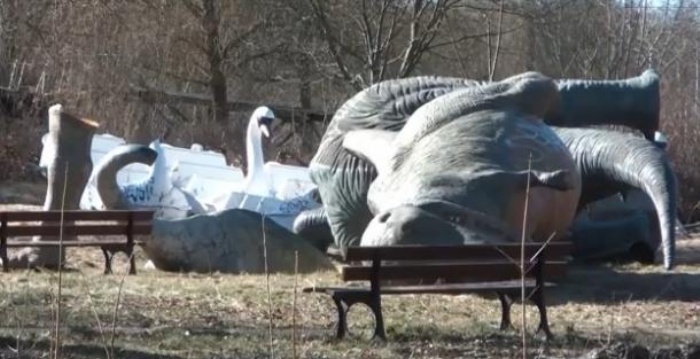 In fact, most of the park looks pretty messy and desolate, with the exception of select areas that are open to tours and a recently-opened cafe. By David Ponce on 07/17/13 • Leave a comment! Handing your kids a smartphone or tablet may sound like a great idea to get some peace and quiet, but that’s until you realize that kids are more than capable of pressing a few buttons and committing potentially colossal blunders. In this case, Paul Stoute from Oregon handed his 14 month old daughter his iPhone, but forgot to log out of his eBay application. Sure enough, she ended up buying a 1962 Austin Healy Sprite! 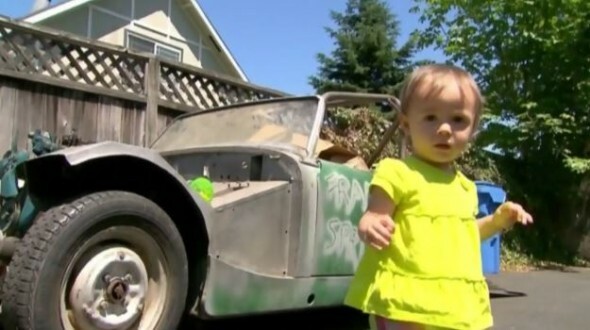 Luckily for Stoute, the car was in terrible condition, and only cost $225; he had been looking to buy a vintage car in the first place, which is why it was so easy for his daughter to complete the transaction. Even more fortunate for him, she didn’t press BuyItNow on the $38,000 Porsche he had also been looking at. Yes, the car is quite the fixer upper, but the Soutes have decided to keep it anyway with the hopes of having it be road worthy by the time their 14 month old, Sorella, turns 16. And the moral of this story is… don’t ever hand kids your phone. Or at the very least, log out of eBay. By Hazel Chua on 06/07/13 • Leave a comment! Think you’re too old for bumper cars? Think again. I’m not talking about the small ones that you’ll probably have a difficult time getting into at the local arcade. 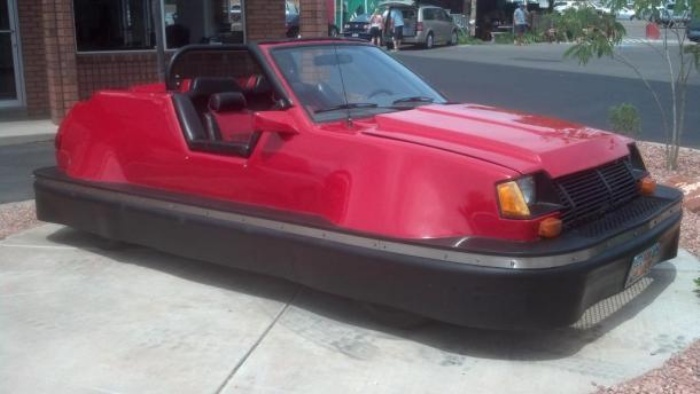 I’m talking about this 1984 Dodge Colt that was modded to look like a giant bumper car. It isn’t called street-legal for nothing. 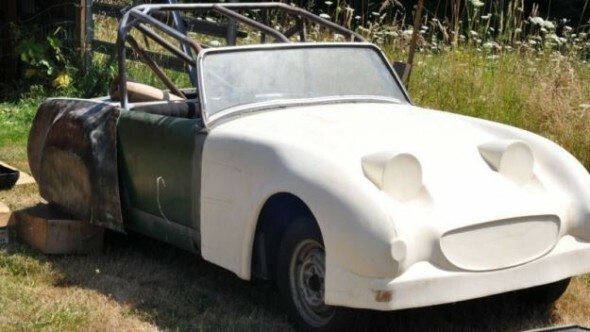 The one-of-a-kind vehicle was up for sale on eBay up until a couple of hours ago by aptly-named seller bumpercarguy. At the end of the listing, the highest bidder was willing to shell out $2,938 for the car, but the sale isn’t going to be completed because that amount doesn’t meet the seller’s reserve price. Arcade machines became less and less popular with the release of video game consoles like the Family Computer and the PlayStation. The latter were compact, highly portable, and had the capacity to support a wide variety of games in the comfort of the players’ homes. Arcade machines are still around these days, and while a lot of gamers still troop down to play their games at the local arcade, their popularity is waning. So I think the unveiling of the Ultimate Arcade Cabinet was just timely. It’s a specially-built arcade cabinet by Jack Thompson and the crew at ArcadesRFun and it’s one arcade that’ll make you want to spend all your time at the arcade again. 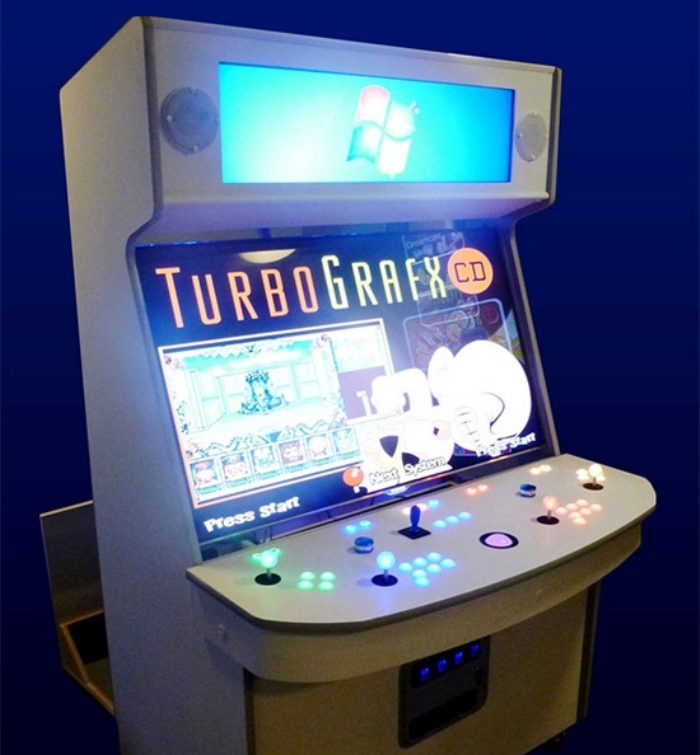 It’s equipped with a large, 55-inch display and has full controls for up to four players. By Hazel Chua on 12/10/12 • Leave a comment! 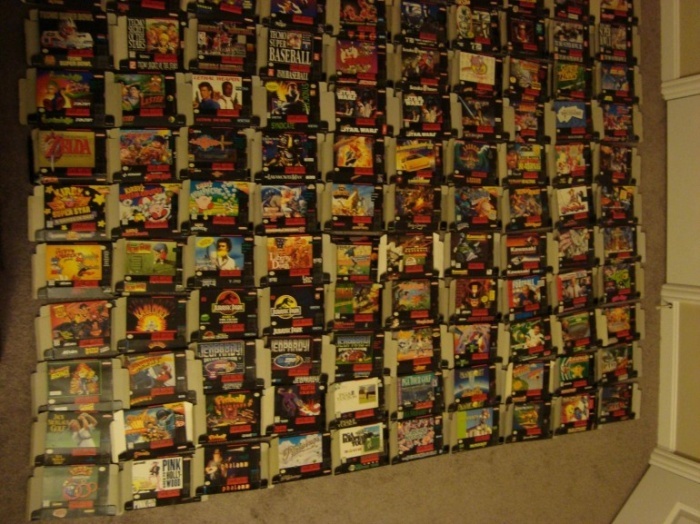 Fancy owning every single game that was ever made for the SNES? At least, the ones that were officially released in the US, Canada, and Mexico anyway. You do? Well, now’s your chance to get all 721 games because byuu from Reddit is selling the neat collection that he’s managed to collect and complete over the course of three years. The asking price is $24,999, and while it might seem like a steep amount, it really isn’t, considering the fact that the top 25 games or so are worth half of his asking price. Proceeds from the sales will go to byuu’s next project: collecting every game that was released for the European and Japanese market. Oh, Geekologie, how you amuse us. 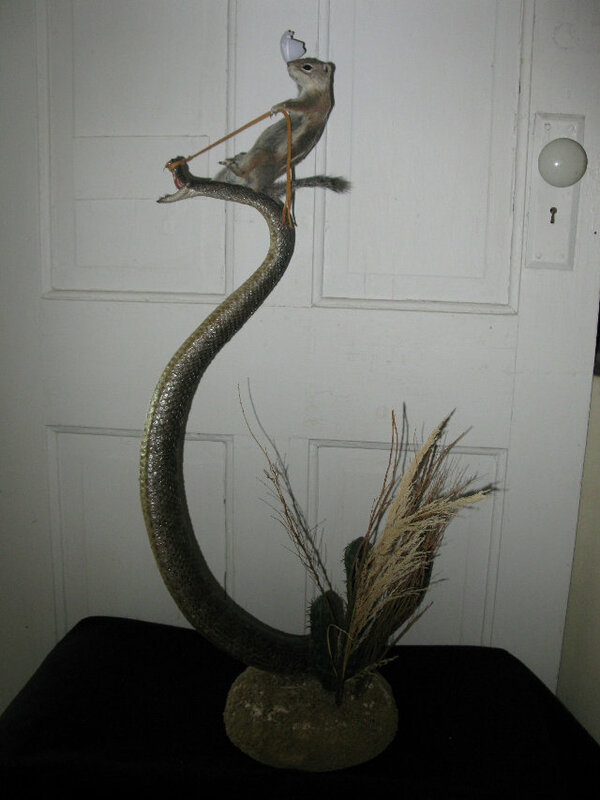 GW has unearthed the above: a taxidermied squirrel riding cowboy on a taxidermied snake. Cowboys say “Yee haw”, but we say hell yeah! Oh, it’s in poor taste? We don’t really care, that thing is awesome. It was up on eBay for a while, and now it’s gone. We’re sad. At least there’s a few pictures, after the jump. By Hazel Chua on 10/26/12 • Leave a comment! Ladies and gents, feast your eyes on the World’s Largest Bra, which is a mega-sized 1222B! But before we talk about this ginormous piece of lingerie, let’s talk about the events that made it happen. In all seriousness, having a figuratively bigger heart opens your eyes to the plights of others and the realities of the world. Cancer takes away so many precious lives every year, especially breast cancer, and the sad thing is that some of these lives could have been saved by treatment, had they made the discovery sooner. One way to do that is by getting regular check-ups. 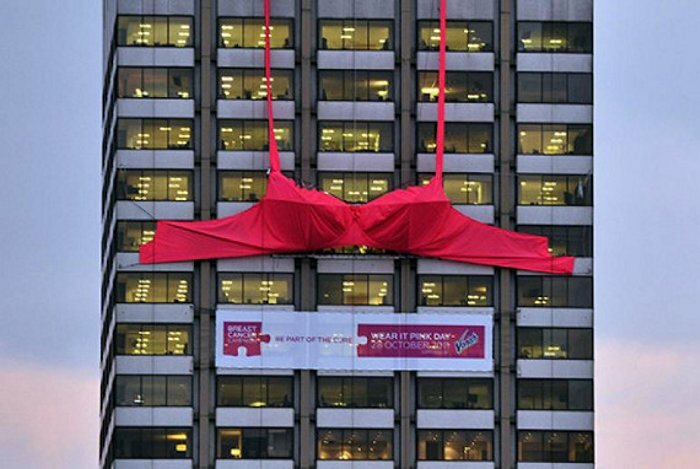 And one way to remind men and women to do that is through an awareness campaign, like the ones that the Breast Cancer Campaign is doing. By Hazel Chua on 10/09/12 • Leave a comment! Terrifying image, isn’t it? That’s not a photo of the real James Holmes though. It’s of some guy wearing a James Holmes rubber mask that was recently put up for auction on eBay. Holmes’ mug is infamously known after footage of him looking blank and indifferent was shown after The Dark Knight Rises shooting in Aurora, Colorado. 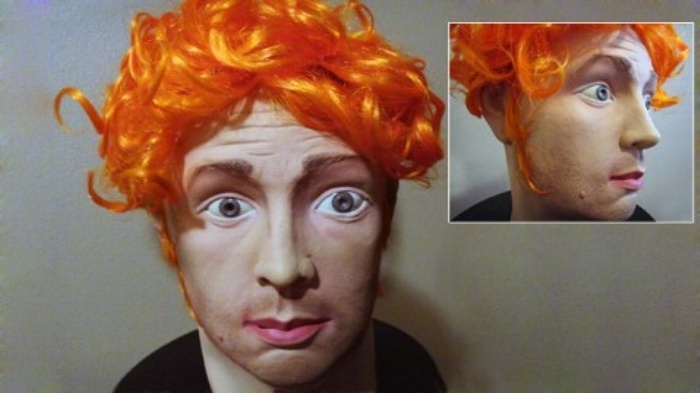 There is nothing more scary than crawling into James Holmes’ mind and wearing his face. His ‘soul penetrating eyes’ and ‘The Joker’ orange hair makes this mask the most disturbing object you will ever own. Imagine owning the mask of supposedly the most dangerous mass murderer in US history. The mask didn’t get any bids though. eBay has since pulled it from the site explaining that the mask failed to meet their Offensive Materials policy. You can get a closer look at the mask after the break.